The Technical Education and Skills Development Authority (TESDA) cited the City Government of Bayawan for its commitment in enhancing technical education in their city. Bayawan City Mayor Pryde Henry Teves received the Kabalikat Award from TESDA during the 4th TESDA Institutional Awards held last Aug. 23, 2018 at TESDA’s Women’s Center in Taguig City. The Kabalikat Award is given to TESDA’s partners in the Local Government Unit sector, National Government Agency (NGA) sector, Government Owned and Controlled Corporations (GOCC), Non-Government Organization (NGO), private and business sector who exhibited outstanding support and cooperation for the promotion and development of Technical Vocational Education and Training (TVET). 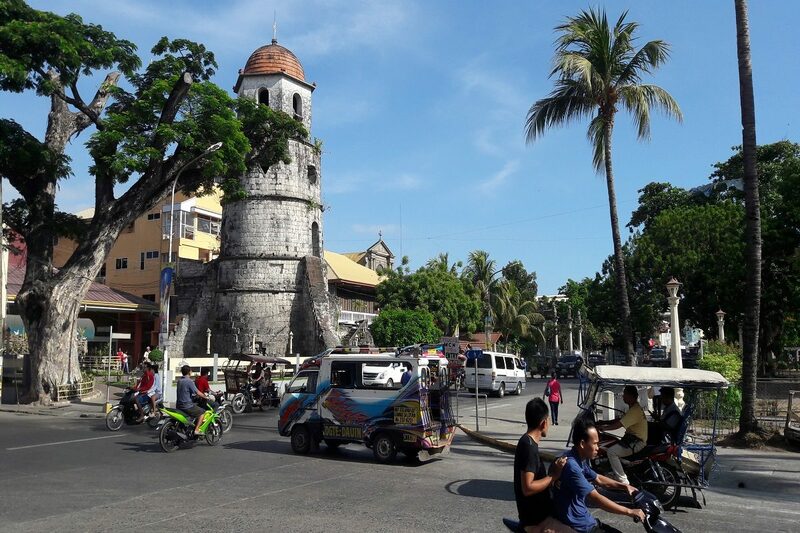 TESDA – Negros Oriental Information Officer Georgette Malagar disclosed Bayawan City is one of the contenders for the LGU category of Kabalikat Awards. Malagar said that From 2015 – 2017, Bayawan City has extended tech-voc services such as training, assessment and certification to its constituents that resulted to a total of 2,711 tech-voc graduates. These achievements were implemented through 2 modes of training as follows: through Scholarship Programs that provided 1,400 slots for individuals implemented in various qualifications like Computer System Servicing NC II (225), Cookery NC II (150), Bread and Pastry Production NC II (325), Bartending NC II (75), Trainers Methodology Level 1 (50), Carpentry NC II (135), Plumbing NC II (50), Shielded Metal Arc Welding NC I (272) and Shielded Metal Arc Welding NC II (115). The second mode was through a Community Based Training Programs that provided 1,311 slots for individuals implemented in various qualifications such like PC Operation (325), Dressmaking NC II (270), Electrical Installation and Maintenance NC II (235), Plumbing NC II (215), and Driving NC II (286). In addition to these programs, the City Government of Bayawan City also a total of P12,396,706 intended for Technical Education and Skills Development (TESD). The funds were utilized in various areas as follows: P6,198,393 for Scholarship; P698,393.00 for Community Based Training Program; P3,000,000 for Construction of Workshop Area for Bayawan City Technology & Livelihood Development Center (BCTLDC); and P2,500,000 for Tools, Equipment and Materials for the Training Center. To further intensify their support to the development of TVET, Bayawan City also served host in various skills competitions and skills development seminars from 2005 up to 2017. “LGU Bayawan has also richly implemented the conduct of Training Induction Program (TIP) to all its training provisions, as a requirement for being registered under the Unified TVET Program Registration and Accreditation System (UTPRAS),” Malagar added. SSS launched the LRP with condonation program last April 2 and has since collected more than P2 billion income from nearly 300,000 availees for the first five months of implementation. From April 2 to August 31, SSS was able to condone P4.3 billion penalties, resulting in restructured loans amounting to P4.9 billion. “We are encouraging our members to immediately file their LRP applications and do not wait for the last minute filing next year. We’d like to remind them that their outstanding loan will still incur interests. SSS will only condone their penalties,” Dooc said. To qualify for the LRP, member-applicants should be residing or employed in any of the calamity areas declared by the National Disaster Risk Reduction and Management Council (NDRRMC) or the national government. The short-term loan must also be overdue for at least six months. LRP Applicants should bring duly accomplished LRP form, valid identification documents and Letter of Authority (LOA), in case the application is being filed by an authorized representative. Dumaguete City’s seven public junior high schools have received last week a unit each of “library box” or STARBOOKS from the Department of Scienc and Technology (DOST). STARBOOKS is short for Science and Technology Academic and Research-Based Openly Operated KioskS, the first Philippine Science &Technology digital library, is a stand alone information source designed to bring Science and Technology (S&T) information to the grassroots. The beneficiaries include Piapi High School, RTPM-Dumaguete Science High School, Dumaguete City National High School, Junob National High School, Hermenegilda F. Gloria Memorial High School, Taclobo National High School and Camanjac National High School. The STARBOOKS aims to provide S&T-based educational and learning resources in various formats to geographically-isolated schools and local government units throughout the country as well as enhance the educational competence of students in its beneficiary schools. The deployment was part of “Smarter Schools in Digital Dumaguete Initiative” (SSDDI) Grants-in-Aid project which aims to scale-up information, communication and technology (ICT) utilization in the public schools in the city. The said initiative was organized by the DOST Negros Oriental Provincial Science and Technology Center (PSTC) in cooperation with the Department of Education-Dumaguete City Division Office. “STARBOOKS is a great foundation for students who wish to achieve higher learning. Acquiring correct information is crucial in their formative years. That’s why it is best to equip them with credible and validated digital information at a young age”, said Atty. Gilbert R. Arbon, Provincial Director of DOST Negros Oriental. The turnover ceremony was separately conducted in each of the seven schools and was attended by around 200 participants from school heads, teachers and students. STARBOOKS is deployed in over 2,662 sites nationwide. Interesed institutions may avail of the said project through DOST-STII (www.stii.dost.gov.ph) or visit the nearest DOST regional/provincial office in the area.